It can. Recently released federal physical activity guidelines emphasize the importance of any movement, but optimal health benefits require a little more effort. For adults, that means at least 75 to 150 minutes per week of vigorous activity, or 150 to 300 minutes per week of moderate-level physical activity. What constitutes high-intensity versus moderate exercise? It's all about the heart rate relative to your fitness level, said Dr. Meagan Wasfy of the cardiovascular performance program at Harvard-affiliated Massachusetts General Hospital. "With low-intensity activities, most people will still be able to sing and converse," Wasfy said. "At moderate intensity, you can still speak but can't sing, and at high intensity, you can't speak in full sentences anymore." The new guidelines reflect a large and growing list of studies suggesting physical activity of any kind is healthyl. In a JAMA Internal Medicine study, researchers pooled data from six studies and found that over a 14-year period, people who never exercised were at the highest risk of death. But it didn't take much activity to start seeing the benefits. Those who did just a little exercise lowered their risk of death by 20 percent. "If you go from being totally sedentary to getting even a portion of the recommended 150 minutes of moderate to vigorous exercise every week, that's when your health outcomes improve the most," Wasfy said. The more time you put in, the better, the study suggests. People who completed at least 150 minutes per week of moderate exercise were 31 percent less likely to die than inactive people during the 14-year follow-up period. And the people who had the best health outcomes engaged in at least 450 minutes of moderate exercise each week; they were 39 percent less likely to die. Kicking it up a notch with high-intensity interval training -- or short, intense bouts of exercise -- is undeniably superior for improving fitness, Wasfy said. People preparing to run a race or who just want to bike faster in spin class could benefit from incorporating higher-intensity exercises into their routine. "It can give you an incremental gain on how long you can comfortably sustain vigorous exercise," Wasfy said. Increasing exercise intensity can be as simple as adding a short sprint into a longer walk or run, said Mercedes Carnethon, vice chair of preventive medicine at Northwestern University's Feinberg School of Medicine. "High-intensity interval training provides variety and challenges that appeal to some types of personalities," Carnethon said. "Some people enjoy the sedative experience of jogging or walking briskly for a period of time. Others want to do short bursts of activity." 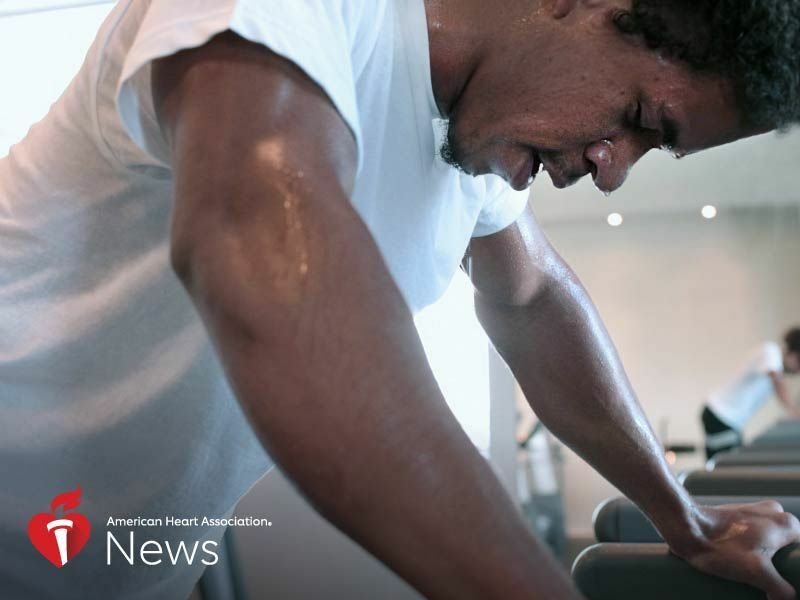 Research suggests exercise is both healthy and safe for the vast of majority of people, said Dr. Michael Joyner, a researcher at the Mayo Clinic in Rochester, Minn., who studies how stress impacts the nervous system and its impact on blood pressure, heart rate and metabolism. "Most people can find an activity that they can enjoy no matter what coexisting medical conditions they have," Joyner said. "There are very few exceptions." Staying active is important throughout the lifespan, Joyner said, citing evidence that children who engage in regular physical activity have less attention deficit hyperactivity disorder, improved academic performance and other developmental benefits. For example, in a study by the Centre for Brain Research at The University of Auckland, researchers found that children ageg 7 to 13 who were randomly assigned to do high-intensity training showed improvements in cognitive control and working memory. In fact, the new federal guidelines recommend that children aged 3 to 5 should stay active all day and those aged 6 through 17 should get at least one hour of moderate to vigorous physical activity daily. "The bottom line is to find an activity that you like, and do it religiously," Joyner said. "That's message one through 10."